The problem with most home ovens, gas or electric, is that they just aren't capable of achieving the level of high heat that parlor ovens put out. By using a pizza steel, you can simulate the real deal. When we talk about using a pizza steel, we are talking about using the capability of steel to conduct a large amount of heat for extended periods of time. A good crust needs high amounts of heat that a steel gives to create a pie reminiscent of your favorite pizza restaurant. Find the correct rack adjustment in your oven. Typically the best rack position for cooking pizza is the top rack, but this usually depends on your oven broiler. Preheat pizza steel for a minimum of 30 - 45 minutes before cooking your pizza. Keep the oven light on and keep an eye on the pizza. Never rely solely on a timer! Pre-heat oven on highest heat setting, typically 500°F to 550°F. Preheat for at least 30 minutes with steel on the preferred rack. Turn oven dial to “Broil” and transfer pizza to the hot steel with a pizza peel dusted with flour. Start with 5 minutes cooking time, but keep an eye on your pizza as it may take anywhere from 2 to 10 minutes to finish. Total baking time for your pizza will vary based on a number of factors, including how hot the steel is. Remove pizza from the oven, give it 30 seconds to a minute for the cheese to coagulate before cutting. Tip: If your pizza doesn't slide off of the peel with a forward/backward motion, try moving the handle side to side (left and right). 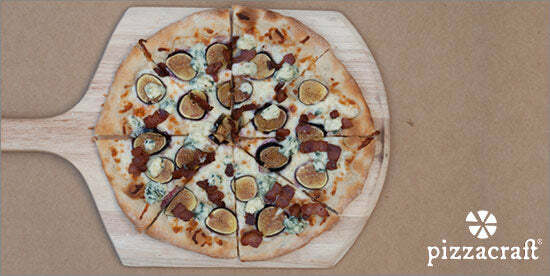 You can simulate the results of a wood-burning pizza oven by using a pizza steel and stone together. The intense heat from the steel will help to achieve a perfectly crisp crust, while the radiant heat from the stone will help to brown the top of the crust and cook the toppings like the elevated ambient heat of a pizza oven. If you have a bottom drawer broiler, follow the instructions below. Place pizza steel on the bottom rack in your oven. 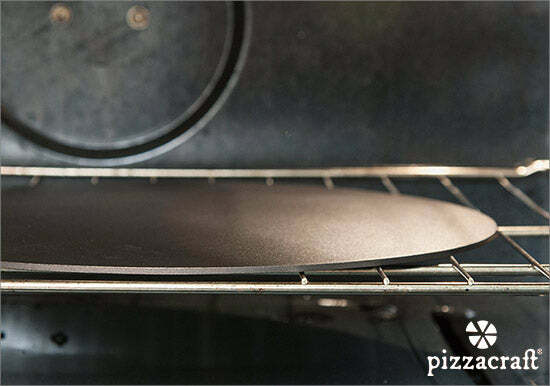 Place pizza stone on the top rack in your oven. Follow steps 2 through 4 above. The pizza stone will create a pocket of air heat to cook toppings while the steel crisps your crust. That’s it! Fresh pizzeria-style pizza from the comfort of your own kitchen with a baking steel, pizza stone - or both! Keep in mind if you master these methods you may have to fend off uninvited guests in your kitchen. Stay tuned to our blogs for more tips and recipe instruction to learn more about the art of pie. Tagged Baking Steel, Pizza Steel, Pizza Stone, Products. Can you provide any details of the pre-seasoning, for consumers who keep kosher? .e.g is there any kosher supervision of the pre-seasoning process? Is kosher oil used? There are a couple simple tricks you can use to keep your pizza steel looking like new. You’re correct in thinking that steels need to be seasoned. This is done by brushing the steel with a light coating of oil, then baking the steel in your hot oven for an hour at 400° F. You can repeat this process 2-3 times to build up the seasoning even further. Once you develop a good seasoning on the steel, it will be much less likely to rust. Try to make it a point to store the steel in a dry environment indoors. Even well seasoned steel will eventually rust when placed in a humid environment. As for the topping spilling onto the steel, you can use a wire brush or a scouring pad to remove these as well as the scraper side of a grill brush. Also, be sure to thoroughly dry the steel when you finish washing it. What kind of care does the steel need? Does it need to be ‘seasoned’ like a cast iron pan? If I spill some toppings onto the steel and they burn to the metal, whats the safe way to clean?